Over 1.3 Million Americans are cared for through hospice each year, and there is a daughter, son, brother, husband, or friend acting as a family caregiver for each patient. The emotional challenge of caring for a loved one during the last few weeks can be draining and extremely stressful without support and help. AGIS.com has partnered with the Hospice Foundation of America (HFA) to offer expert advice and information on end-of-life issues for caregivers. This new addition to the AGIS eldercare portal showcases HFA’s unique expertise in caregiving issues involving terminal illness, grief, emotional pain and other complex issues associated with the last months or weeks of a loved one’s life. AGIS’ new information section includes information on comfort through treatment of illness-related symptoms, hospice care and grief. Individual sections on the site feature additional information on solace and grief management strategies for both caregivers and ailing loved ones that enable practical and comforting solutions for every step of the process. The new AGIS interactive HFA “Ask the Experts” section enables families to find specific answers to personal challenges easily online. While no one can ever be fully prepared for the emotions and situations that come from caring for a dying loved one, HFA and AGIS desire that no family caregiver will ever have to face this time alone. This is a great resource, thanks...I've been meaning to come by and blog visit for awhile now especially under the circumstances of my mother-in-law's situation. These resources will help figure out how to care for her. My father-in-law wants her to come home; but she can't really walk anymore (bad knees plus I think she's just forgotten how) and he has stairs. We're trying to convince him to move up by us. Perhaps he'd be willing to do that if we could assure him we could get in-home care for her rather than putting her in a nursing home. It's so wonderful to have resources such as AIGS to help caregivers. Even as little as seven, eight years ago when I started caring for my mom full time, there weren't the online resources there are today. There are days that a caregiver can't get out of the house--and yet the need friends, connections, and advice. 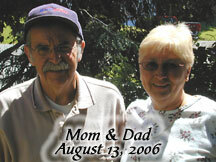 Going through Alzheimer's with a loved one--and other dibilitating disease is tough (my mom had Alz and Parkinson's). We need all the help we can get. My mom is dying of Alzheimer's. I'm very far from her and during these years I couldn't do anything for her. She remembers me and when I call her she says she is well. She can't walka and has hard time with breathing, eating,.... She is vanishing... So sad. My husband (51) has an unyet-diagnosed dementia; probably early frontotemporal. We'll know more soon. It's been challenging, because I am also the parent of a teenager with multiple disabilties and our marriage was far from perfect when this "hit". There doesn't seem to be any support groups out there for those in my position (early-onset and otherwise), and what I might have to say isn't always going to be polite and/or pleasant. It's a tough disease, period. There are a lot of mixed-up emotions involved while I try to figure out how to adapt to a quickly changing world. My name is Scott Lancaster from www.diyfather.com we are a global online interactive forum for fathers based in New Zealand. I was hoping that you might be interested in sharing content, we would link back to your site with your name on our site. Also would you be interested in doing a podcast interview via telephone? we have always appreciated http://www.alzstore.com. they have been a great provider of quality products. Thank you so much for these wonderful resources. I just lost my Dad to AD last Thursday (6-19) and I'm feeling a little lost.